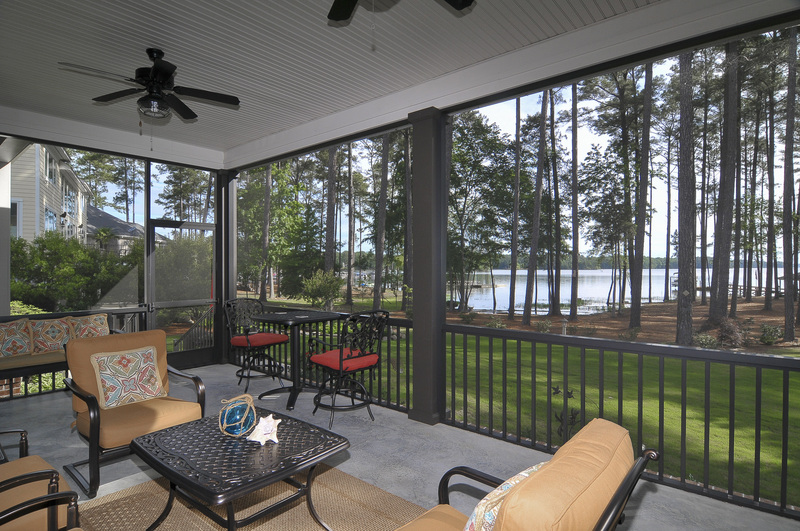 120 Anchorage Lane is located on Lake Murray, SC in the gated community of Harbour Watch and just 16 miles west of Lexington, SC. Harbour Watch is less than 30 miles from Columbia, the state’s capital city, and home to the University of South Carolina; 40 miles to historic city of Aiken, SC; and 25 miles to Newberry, SC, home of the Newberry Opera House. 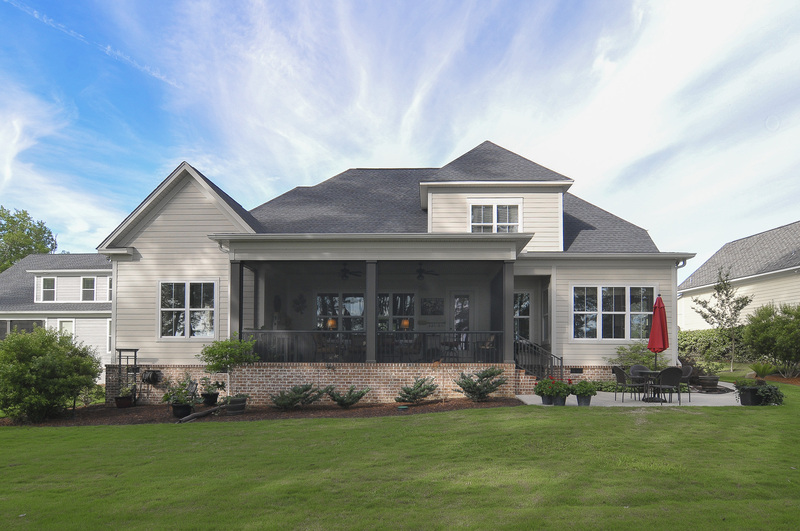 120 Anchorage Lane in Leesville, SC is conveniently located, offering numerous nearby attractions for residents and visitors alike. Students attend Batesburg-Leesville Elementary, Middle and High Schools. This immaculate home was custom built in 2014. Perfectly situated with 143’of waterfront, there are four mile, big water views. There’s a gazebo with ceiling fan and fresh water. The pier has bench seating on either side and a bump out for dock box or bistro table. The dock is equipped with a 10,000 pound lift with aluminum walking board. Sunrises are absolutely stunning and afternoons are pleasant! Seller spent a career as a quality control inspector, and this home is a fine example of attention to detail, craftsmanship, meticulous maintenance, and beautiful design, inside and out. There are 10 ft ceilings on the main level, 9 ft ceilings on the second floor, and 8 ft doors. The front door is fiberglass and will never crack or warp. There’s a formal dining room to the left of the foyer. 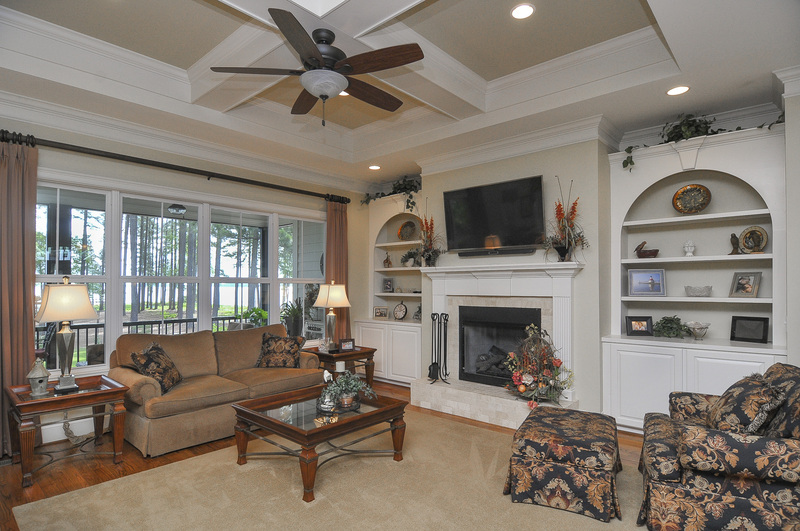 The lakeside great room has built-in book cases, coffered ceiling, gas log fireplace, recessed lights and wide molding. The TV over the fireplace conveys. The great room is open to the massive kitchen with island, bar, granite counters, under-cabinet lighting, recessed lights, and pantry. All kitchen appliances convey and include a built-in convection oven, microwave, stainless steel refrigerator, and 5-burner gas cooktop. The breakfast area is lakeside and wired for ceiling fan. The large laundry room has built-in cabinets, broom closet, ice maker, folding counter or desk area, and space for a refrigerator. The main level, lakeside master bedroom has box ceiling, wide molding, ceiling fan, private bath with travertine tile floors, double vanity, large, separate shower, garden tub and water closet. The TV in the master bath conveys, too. Upstairs, bedroom #2 faces Lake Murray and has a walk-in closet with additional unheated storage. It has a Jack and Jill bath with tub/shower. The vanity has two sinks. The adjoining bedroom has a walk-in closet and very large storage closet that opens into attic storage. The 4th bedroom has a private bath that is accessible from the upstairs hall, where there is another large, unheated storage closet. This home has an oversized 3-car garage with side entry door and concrete path from that door to the lakeside patio area. There are partial gutters. The home has radiant barrier sheathing and an encapsulated crawl space. Life at Harbour Watch provides endless possibilities for homeowners. Ammenities include: gated entrance & impressive lion fountain; elegant clubhouse with caterer's kitchen; fitness center; tennis courts; lakeside swimming pool; chipping and putting green; golf cart paths and parking; parks and nature trails; picnic shelters; private and shared docks for waterfront owners; deeded boat slips for off-water owners; two grounds keepers; public water and sewer; paved roads with curb and gutter; and underground utilities. 16 acres of green space have recently been purchased for parks and nature trails. This purchase ensures that the residents maintain control of the association and that the property obtained is maintained as green space. That resulted in a $289 special assessment for 2018. The association projects that this land acquisition will necessitate special assessments between $230 - $260/year for the next 15 years, a modest increase for the tremendous gain for the community. Take a leisurely stroll to the lake along one of the nature trails that meanders through the community or visit with friends at the Harbour Club. Enjoy a picnic at the Sunrise Pointe recreation area, or simply commune with nature. If you are feeling energetic, you might go for a swim in the pool, practice your putting on the private putting green, fish from the community dock, enjoy a brisk set of tennis, work out in the exercise facility or take off on a boating excursion. When you pass through the private, gated entrance, a gentle curve leads you to a magnificent fountain centerpiece. Follow Harbour Watch Boulevard to the clubhouse. The upstairs is beautifully decorated with a gas log fireplace, big screen TV and comfortable furniture on one end and a pool table on the other. 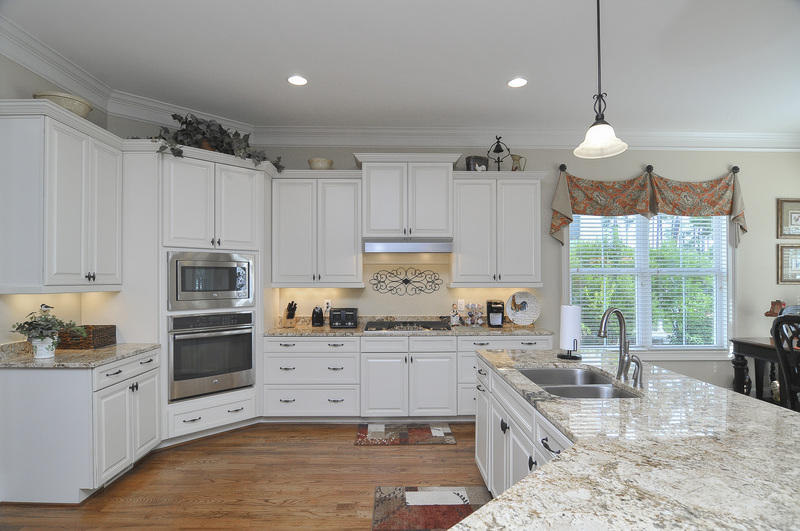 A small, well-equipped kitchen makes it perfect for parties. An elevator is available for those unable to climb stairs. On the lower level, a bar area and an exercise room back up to an inviting swimming pool, overlooking the neighborhood marina. 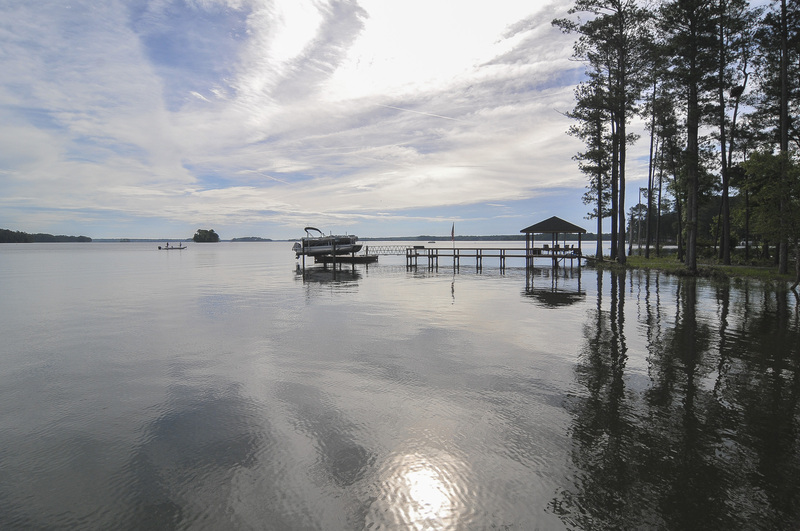 With over 500 miles of shoreline and 50,000 acres of recreational water, Lake Murray is home to many annual events including professional bass fishing tournaments, sailing regattas, the annual Tour of Homes, and holiday fireworks displays. With an average temperature ranging from 56 degrees in January to 92 degrees in July, Lake Murray visitors and residents enjoy a perfect climate for year-round outdoor recreation! At 120 Anchorage Lane, enjoy hiking, swimming, boating, fishing and live the life that most only enjoy on vacation. 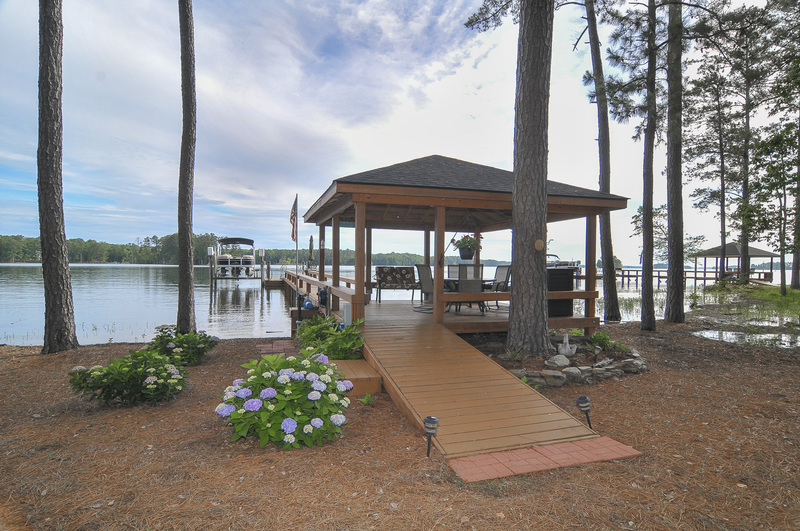 Harbour Watch on Lake Murray, SC truly is lake living at its finest! 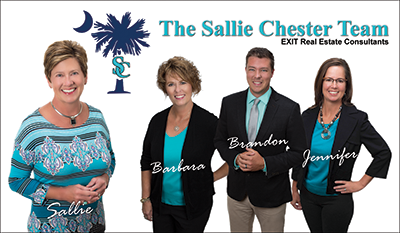 Lake Murray, SC Real Estate - The Sallie Chester Team EXIT Real Estate Consultants. With an emphasis on real estate sales on Lake Murray and off-water properties in Lexington, SC and surrounding areas, Sallie Chester and her team of professional REALTORS® utilize EXIT’s cutting edge technology along with old-fashioned customer care to provide each client with exceptional service. Sallie lives on Lake Murray and with many years as a leader in the real estate industry, her clients value her knowledge, professionalism, and business experience.